Click here to see photos of customers' floors! Wooden floors will add beauty and character to your home. We offer a great variety of woods and will help you choose the best product for your application. The right wood in conjunction with the right finish will provide an excellent floor that is beautiful, durable, and easy to clean. Certain woods have extra durability for use in high traffic areas, bathrooms, and kitchens. As far as cleanliness goes, wood floors are a much better choice than carpet. Carpets trap dust, dander, allergens, and odors that generally remain in the carpet until it is replaced. A occasional dusting with a Swiffer® is all your wood floor will need to remove dry dust and dirt. A damp mop will remove mud and liquid spots when needed. The occasional clump of mud can be whisked up with dustpan and brush and the occasional spill can be wiped up with a paper towel. Unlike laminate or other plastic products, real wood floors can be renewed over and over again, thus the floor can easily last the lifetime of your home. This has both economic and environmental benefits. Depending on the wood and finish that you choose, your wood floor can go many years, even decades, without needing a refinish. These are the floors that you will not find at home centers or floor stores. Lengths are generally 6’ and longer. Wide plank and unusual woods are available. The long lengths and random widths accentuate the natural beauty of the wood. Custom also doesn’t necessarily equate to costly. Depending on the grade and species, this type of floor can fit into most flooring budgets. Lead-time for a custom manufactured floor is generally two to three weeks. Random Width – Random width floors in domestic woods such as red oak, white oak, ash, hickory, birch, maple, and cherry. Most of the wood used in these floors grows right here in Pennsylvania. The long lengths and random widths show the wood's natural beauty. 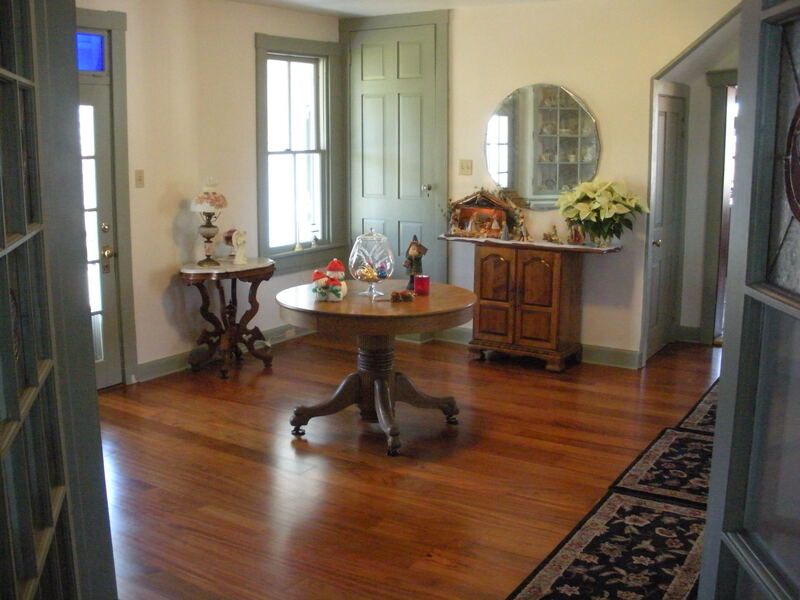 These floors are available in a variety of grades with different levels of character. Width ranges from 2-1/2" to 8". White oak – in wormy and character grade. We can do specified widths up to 11-1/4” when the wood is available. This is a great floor for the restoration of old homes. Hickory – in random widths. This is the hardest domestic wood available. It provides plenty of character with stark contrast between sapwood and heartwood. Leave it natural or tone it down with a light stain. Jatoba – also known as Brazilian cherry. This wood is very hard and can usually be obtained in random width and wider planks. This is a classy floor with deep reds and browns. Ash – this wood is similar to oak in hardness and grain. One of its uses is for baseball bats so you know it will stand up under use. It also is relatively inexpensive. This is one of those floors which can fit within a budget. It is the least expensive and one of our most popular custom hardwood floors. White Pine – use this for the old farm-house look. Be forewarned, this wood is soft and will show wear very quickly, but this hasn’t hampered its popularity. A common face width is 10-3/4”. Curly Maple – this floor is unique. Curly maple is used extensively in traditional, Early American furniture. It also makes a beautiful floor or paneling. Available in random widths. Hardwoods – These floors are run in large flooring mills. The lengths are random 1’ to 7’. Widths are 2-1/4” thru 7”. We sell several high quality brands. Most of these products can be obtained within a week. These floors are available pre-finished or unfinished depending on your requirements. Domestic and imported woods are available. Yellow Pine – Included in this group are the very popular wide plank yellow pine floors. 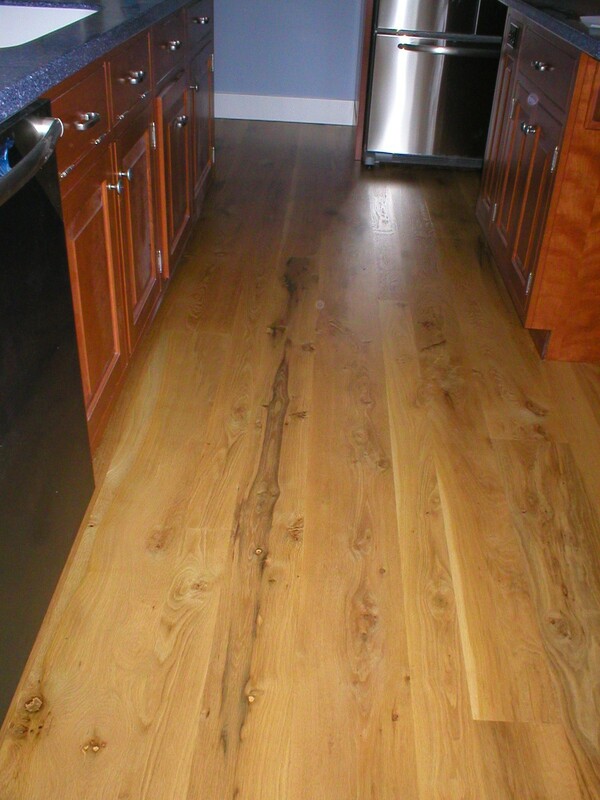 Yellow pine floors come in two grades: #2 Common (knotty) and C&Btr (few, if any knots). 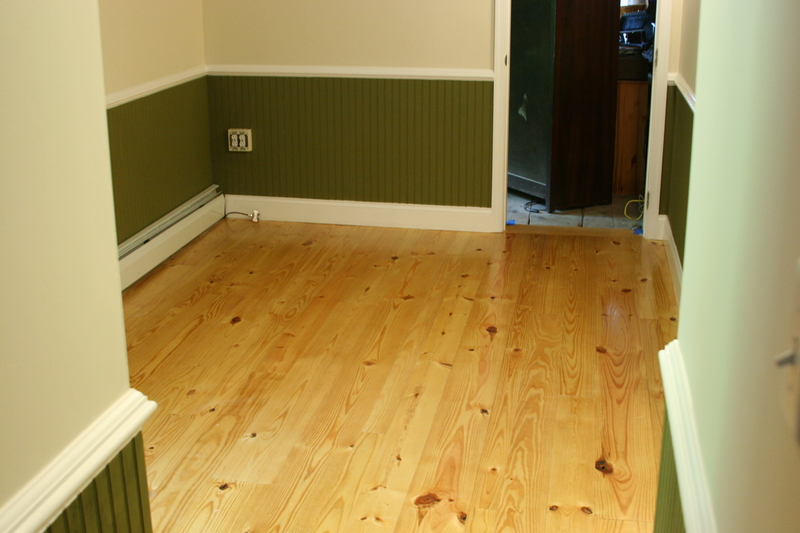 Unlike the hardwoods above, yellow pine floors come in 6’ and longer lengths. Yellow pine flooring is a great value. Heart pine is sometimes available.